In just over two weeks, musicians and industry types will descend upon B.C. wine country for BreakOut West, which includes a 4-day conference and 3 nights of incredible music. 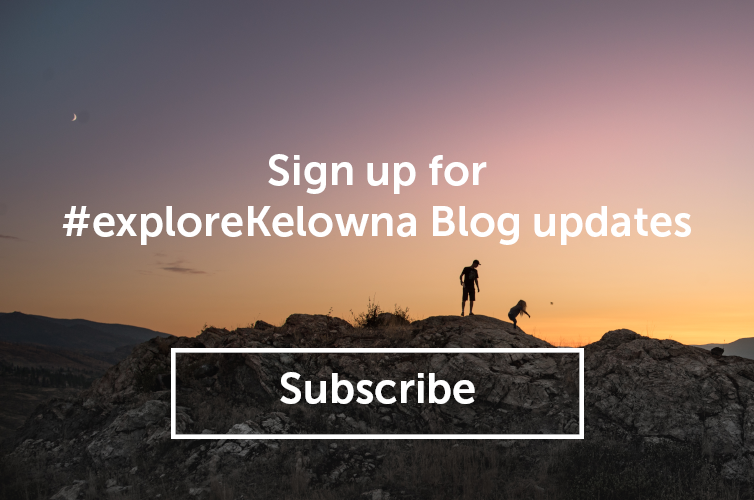 Fall harvest is in full swing, so what better exercise to undertake than pairing some of this year’s festival attendees with the many wine, beer, and food options Kelowna has to offer? In just a few years, Vancouver quintet, Leisure Club, have managed to pull together their own brand of charming, breezy indie pop that retains plenty of energy and verve. That energy and tension is reflected in the Summerhill Pyramid Winery Cipes Brut, an organic sparkling wine made from Riesling, Pinot Blanc, and Chardonnay that manages to balance complexity with cheery effervescence and bright fruit notes. No stop in Kelowna is complete without a visit to the impressive winery, complete with a pyramid for ageing the wines. What more can be said about some of western Canada’s most iconic songwriters? Between 1983 and 1992 (and then following their subsequent return in 2012) the Vancouver trio of Kevin Kane, Tom Hooper, and Chris Hooper, collectively known as The Grapes of Wrath, wrote some of the most thoughtful, poignant, and timeless pop and rock songs. In that same classic vein comes the Quails’ Gate 2016 Estate Chardonnay — a classic wine from a stalwart West Kelowna producer. Chardonnay may be one of the most widely planted white grape varieties in the Okanagan Valley, but much like The Grapes of Wrath, there’s something about this one that’s a little bit special. The wine brings timeless fresh fruit and complexity that’s sure to win over anyone who tries it. Over the course of the last decade, Malcolm-Jay has been one of the hardest-working emcees and producers in Manitoba, bringing his agile, versatile brand of hip-hop to audiences throughout the province and beyond, often with a wide range of collaborators. No stop in Kelowna is complete without Krafty Kitchen + Bar’s Hip Hop Brunch. Offered from 10 a.m. to 3 p.m., Saturdays and Sundays, hungry guests can enjoy all manner of classic rap tracks as they select from a wide range of benedicts, pancakes, and killer breakfast bowls that sport names such as the Big Boi, Truffle on my Mind, and Notorious P.I.G. A selection of B.C. craft beers and Okanagan wines are available to be enjoyed, as are Krafty’s stellar cocktails. There’s something so comforting and familiar about Calla Kinglit’s innovative brand of singer-songwriter goodness. It’s the kind of thoughtful songwriting, paired with Kinglit’s stellar, inviting voice, which would work as well on a formal stage as it would in the corner of a coffee shop…or a brewery. Kettle River Brewing Co. might not be big, but in the two years they’ve been around they’ve crafted some of the most innovative beers in the Kelowna area and beyond. Taps rotate regularly, but on my visit, the Kettle River Ahead by a Century Pale Ale showed a brilliant balance of malty notes, modest hops and hints of citrus. Yes, the beer’s name tips its hat to the Tragically Hip — and Kinglit’s skills as a songwriter certainly make her a worthy pairing here. Melding traditional storytelling and instrumentation with indie rock sensibility and pounding beats, the Edmonton-based group, nêhiyawak , takes all previous notions of Indigenous music and flips them on their proverbial heads. Similarly, the Indigenous World Winery 2016 Hee-Hee-Tel-Kin Red melds Old World grape varieties traditionally found in France’s Bordeaux region and gives them a decidedly Okanagan Valley twist —all while offering the stories of the area’s own Indigenous history. Stay tuned for more of Ben’s suggested pairings in next week’s blog post.